Obata (小幡) is located in south of Gunma prefecture. It was used to be a castle town. 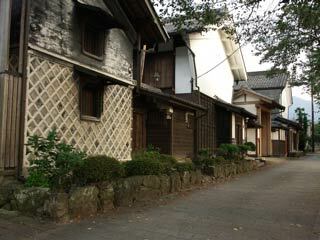 There are many spots still remains of Castle Town including the castle, samurai houses and road. The canals of Obata was built in Edo Period and still in use with the original shape. Rakusanen Garden, the ruins of Obata castle, was built by Oda Nobukatsu, the son of Nobunaga. Some of remaining Samurai Houses are still in use for private. Obata is located in south of Gunma prefecture and a part of Kanra Town. The base of the castle town was built by Oda Nobukatsu, the son of Nobunaga. He and his descendants until 7th generation ruled Obata for 150 years. The canals, Samurai houses and the garden which all made by them are still remaining in the great conditions. Ogawa Canal is chosen as one of 100 best water in Japan, and has many old Edo Style buildings. In Spring, it covered with beautiful cherry blossoms. Rakusanen-garden was used to be Honmaru, the main bailey, of Obata Castle. The back garden was built by Oda Nobukatsu. When he built this garden, he hired the designer from Kyoto. Houses around this garden are in the ruins of Obata Castle, therefore the allocation of the houses are exactly the same as the castle.